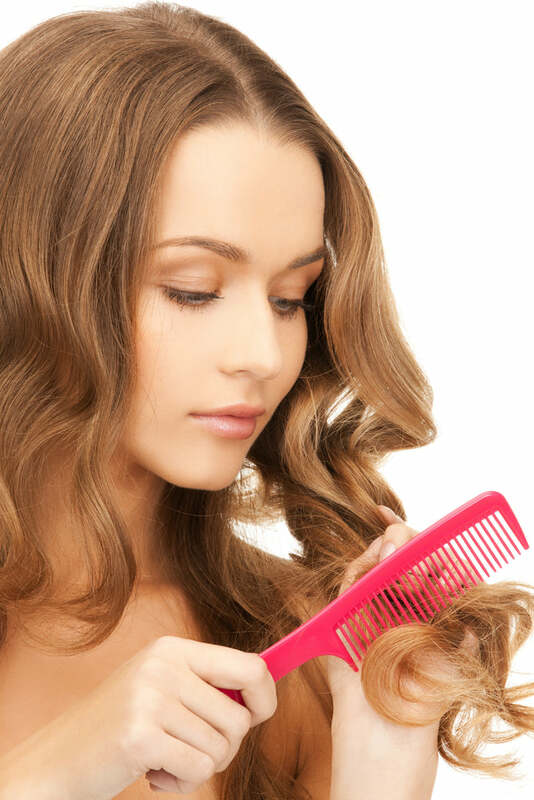 Hair exposed to winter conditions like temperature changes, wool clothing and hats, along with static electricity can leave you with unruly frizzy hair. Learn about the best tips for conditioning dry and frizzy hair with this list of no-frizz tips to help you combat your bad hair days once and for all. Start controlling frizz in the shower with a nourishing and gentle sulfate-free shampoo. When hair is well nourished, it’s less likely to react to dry air or static. For hair that’s naturally curly or wavy, a curl defining conditioner can de-drizz hair by smoothing the cuticle. This leaves waves and curls more defined and hydrated. Try Briogeo’s Curl Charisma curl defining conditioner. It’s formulated with frizz-deterring ingredients like Shea, Sweet Almond Oil, and Rice Amino Acids. Consider switching to a boar-bristle brush in the winter months if you have straight hair. Boar-bristles help distribute hair’s natural oils, which helps control frizz. For those with curly hair, use a wide-tooth comb or your fingers to gently tame hair and frizz. Deep condition hair weekly with a deep conditioning hair mask to help tame frizz. Try Briogeo’s Don’t Despair, Repair! This unique complex formulated with Rosehip, Avocado, and Argan Oils coats the hair making it difficult for frizz to happen, while increasing shine and softness. Towel drying hair creates frizzy hair. Instead use a microfiber cloth to absorb excess water. If you must blow dry, use an ionic dryer. They help reduce frizz by compressing the hair cuticle. 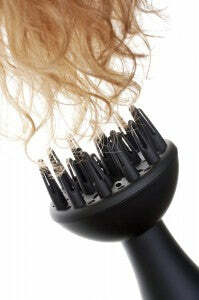 For curly hair, attach a diffuser to your blow dryer to tame curls and frizz. Be sure to rinse shampoo & conditioner out of hair with cool or cold water to close the cuticle for a smooth finish. Look for products with hair-loving ingredients such as Aloe, Bamboo, Palm Extracts, Argan and hair-essential Vitamins B5, D, A, E, and Biotin to penetrate into the hair to retain moisture and fight frizzy hair. Tossing and turning while you sleep on cotton and other material pillowcases creates frizz-causing friction. A satin pillowcase makes it easier to maintain moisture in the hair and helps preserve hair styles. Using a humidifier inside your home can help retain moisture levels and reduce static and frizzy hair. Winter can be the most difficult season for hair, but by following these tips the cold doesn’t have to play havoc with your hair anymore.